Everyone develops their own style of aim that is a combination of different ones. IDDQD for example tracks targets, Taimou almost exclusively flicks and both are considered to be top McCree players. Tracking aim means to keep your crosshair on a target and accurately following it when it moves. This is the basis for good aim and getting comfortable with the movement of your mouse is very important. Flicking aim is keeping your crosshair at a distance to the enemy and then moving it on them with a very quick movement. Every player will rely on these movements, the difference is the distance of flicks they’re comfortable with. If you are very good at tracking you won’t need to flick as far, if you are very good at flicking you will not need to track as well. Strafing just means using your hero’s movement to adjust your aim. You don’t have to move your crosshair (as much) if you move your character. It is easier to aim while standing still, however you are also very vulnerable. That’s why it is important to learn how to aim while moving. This requires the most gamesense. It means keeping your crosshair to where you expect your enemy to come from. Usually you want to keep it at the corner of a doorway or pillar. Overwatch has a lot of verticality so expecting the height of the enemy to get a headshot is beneficial. You still use all of the techniques but they’ll be of different importance. Pre-aiming is very important for any hero who spams fire – which is most. Shooting a Zenyatta RMB at head-height can instantly kill many heroes. In addition to just moving your crosshair you have to take into account the enemy’s movement – prediction is a skill that comes with time just like leading your target correctly. In Overwatch it applies to any damage without travel time. If your crosshair is hovering over an enemy and you fire the damage will register with no way to dodge the shot. The most important thing is to have the right mindset. You need to consciously practice with the goal to improve in your mind. Make sure you know where you land your shots and don’t go into autopilot. McCree is one of the best heroes to practice. Even if you play projectile heroes you will get used to the way your crosshair moves and will be more accurate in both flicking and tracking. These skills directly translate to most projectile heroes. There are some tricks you can do anywhere, even at the start of a match when you are just waiting. Try this out! Just focus on any spot of the landscape, move around and try to keep your crosshair on it. Now move your crosshair away and quickly flick it back to the spot. Go slow first and accelerate when you can remain accurate. Simply keep your crosshair on one of the bots and keep it there while it moves around. If you’re comfortable, start by moving around yourself. Try to hit has many headshots as you can. Accuracy is most important, be sure you hit the shots. Move around, strafe or crouch to make it more difficult. Stand still and keep your crosshair focused on one spot. Then from this position quickly move it to the bot and shoot. Again, start slowly and accelerate the movement when you are comfortable. Keep your crosshair off the bot and then quickly flick to it. Make sure to try different distances and angles – flick from the left and right, top or bottom. If you don’t play McCree you can get comfortable with the speed at which projectiles fly by just sitting still and trying to hit moving bots at long range. Tracer is all about tracking while moving. Start by just following the heads of bots around, then incorporate movement, then incorporate blinking. In the end you can combine everything you’ve been doing: Jump and move around, flick and track, mix it up and kill as much as you can. This movement is quite important for many characters, especially Tracer and Genji. Try doing a good 180 turn. Once you’re comfortable try reacting quickly and shooting a bot to train your reflexes. Get comfortable with burst firing. For very long range targets 3-4 bullet bursts. Keep your crosshair on the enemy, scope in and shoot. Getting the timing right requires practice but it’s a very useful tool of hers. Thread’s old so I made a new one with settings for the new custom games. Create a custom skirmish game with these settings and 6 hard Ana bots on the enemy team. Ana can not headshots so you will not take any damage. Pick a hero like McCree, Widowmaker or a Projectile one like Mei and start! My favorite maps are Anubis, Nepal Village and Hanamura. You can also add one or two Lucio bots, their speedboost will make it harder! A motionless bot is easy to hit. Wait until they move, track them and then shoot. You have to be a lot more accurate to hit these bots than in the training area. Ana’s movement is predictable. Just ‘plant’ your crosshair where you know she’ll go and try to shoot her when she is just under it. This’ll help your reaction time. No doubt a big part of Widow’s arsenal. This setting is pretty good practice since you have no cooldown on the hook. You can do this training with any projectile hero who is able to headshot – it’s good to get used to how much you have to lead a target to hit them. Use these settings in a custom skirmish game and add 6 easy Lucio’s to the enemy team. They’ll have a very hard time killing you but they are dodgy targets. Especially good practice for tracking. Add Lucio bots to your team if you don’t want to be the sole focus. They’ll heal you so you don’t have to worry about HP. Use these settings in a custom skirmish game and add 6 easy bots to the enemy team. Add 3-4 easy bots to your team so you aren’t the only target. Some notes: Don’t add Bastion he deals too much damage. Roadhog’s hooks and Zarya’s shields are annoying. I like this practice because you will have to shoot different hitboxes, use cover and dodge. You’ll be difficult to kill but not invincible. All FPS games will help your aim. You’ll improve your reaction time, get more comfortable with the necessary hand-eye coordination and develop more experience. However they are not the same. Even if you manage to get an approximately close sensitivity the FoV of a game built in a different engine will always mean that aiming isn’t 1:1 the same as it would be in Overwatch. Movement/Strafing is different, speed and hitboxes aren’t the same. Classic MP FPS, has many custom maps designed for improving aim. Once you settled on a way to hold your mouse it’s difficult to switch between types of grips. There are advantages to each style. Whichever you pick you need to be comfortable with your mouse. Claw or Fingertip grip will likely not do as well when they have to move a large and heavier mouse quickly. Your fingers and wrist might also tire out quicker. There are professional players at the highest level who do either so you aren’t limited by a style. However Arm aiming is suggested because if you strain your wrist heavily you’re more susceptible to carpal tunnel syndrome or tiring out. In the end you’ll still incorporate wrist movement with ‘Arm aiming’ to fine-tune your shots. In theory at the highest level movements with your arm will provide you with more consistent linear movements, ideal for flicks. Wrist aiming is more responsive since it is less affected by inertia and so it is good for accurate tracking. Your chair should be just high enough so your feet can rest flat on the ground with knees bent at a 90° angle. The table should be low enough so when you reach for your keyboard your elbows are bent at a comfortable 90° angle, otherwise this might lead you to slouch. The screen should be at eye-level or slightly below. Ideally your keyboard is in a slightly tilted position. Make sure to take a minute break or so every half hour to rest your eyes and stretch your back and wrists. Consider this video. Different professional players have very different styles. It’s hard to tell if there is an “optimal” placement. You want something that doesn’t limit your aim and where you have the maximum amount of control. If you rest your elbow/forearm on the table it’ll limit your speed and range of movements. Some even place their keyboard to the side, mouse in the middle of the monitor allowing for a wider range of movements from the shoulder. DPI means Dots Per Inch. A higher number will mean that your mouse moves faster. Sensitivity is the number you use ingame. cm/360: Another way to measure the overall sensitivity. This number simply means how many centimeters you have to move your mouse to do a full 360° turn. You can measure it yourself or use a calculator to find out. It’s personal preference however most people will have an easier time to track if they have a low sensitivity. Since Overwatch requires a lot of quick movements a very low sensititvity is hard to work with. For example with a very low sens a Genji might not be able to do 180’s fluidly. Pros usually use 4000-5600 eDPI, lower for hitscan, higher for projectile experts. Scoped in you have exactly half the FoV you do with hipfire. The sensitivity works around that. With 100 scoped sens you will turn just as fast as you would with hipfire. However it’ll feel twice as fast since your FoV is halved. With 50 scoped sens you will turn half as fast – however it’ll feel the same speed. With 38 scoped sens you will be able to perform small flicks as if you were firing hipfire. Different Sens for different heroes? It might be useful to have a different sensitivity for heroes like Reinhardt, Winston or Lucio where aim is less important than movement. However accuracy relies on muscle memory and playing on a different sensitivity will not help build this, rather it might confuse you. You can absolutely build two different types of muscle memories but it will take longer and I don’t recommend it unless you play a lot and consistently. Pixel Skipping is an issue in pretty much every shooter. Basically it prevents pixel-perfect aim by skipping a tiny distance while you try to move your mouse. Taimou demonstrates. See this calculator to find out if your sensitivity will skip pixels for your resolution. A more accurate term for this phenomenon would be ‘angular granularity’. You don’t exactly skip pixels but angles. This is because of the way dpi works in 3d games. 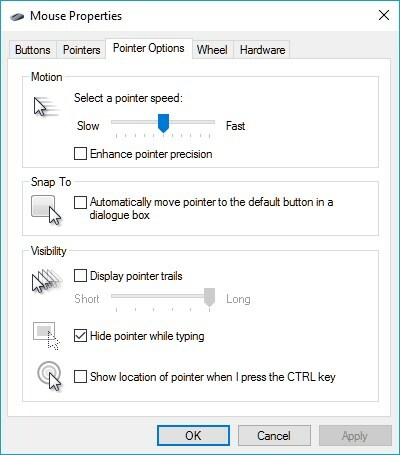 Basically if you have 400dpi your cursor will move 400 steps per inch of real movement. These steps are measured in angles and multiplied by your ingame sensitivity. A higher sensitivity means that the steps you move your cursor with are less fine than with a lower sens. So theoretically 40 DPI and 100 Sensitivity moves your crosshair at the same speed as 800/5 but you will hit only 40 steps on the way instead of 800. Unless you have a high sensitivity of 15 or more you shouldn’t worry about it. Nobody has pixel-perfect aim. Pro’s not only in OW use 800 or lower DPI, it’s more important that your mouse performs well at the DPI you set it to. For every tiny chance you miss an enemy because of pixel-skipping there is an equally tiny chance that you hit an enemy that you would’ve otherwise missed. This is a non-issue really, however if you do want to work around it you can use a higher DPI and a lower ingame sensitivity. Pick a color that you’ll be able to see in every environment and situation. Most choose a bright, stand-out color like pink or neon-green. Some prefer white or black but those might get lost in dark or bright areas. You want to have your crosshair visible but not intrusive. For this reason many pick short crosshair over the normal one and dot over circle. If you’re playing a Hero that has to move around a lot and might lose track of their crosshair (Genji for example) you may want to choose a more visible one. Short crosshair will have a small gap in the middle, while the dot is quite big and will cover far-away enemies fully. For some characters it can be useful to use the default crosshair. Hanzo’s can be used to gauge arrow-drop. Zarya’s acts as indicator for her energy. The Circle crosshair is useful for characters who have to control spread. With Soldier it starts out with a dot to indicate pinpoint accuracy and then a circle expands to show off the spread. For some heroes Bloom is useful. Controlling Soldier’s or Sombra’s spread is important and enabling Bloom is helpful. For others it might serve as an indicator as the amount of damage you can deal – shotgun characters like Reaper or Roadhog will be able to use the bloom to estimate the spread. In the end, if you’re comfortable with a hero you will know where to aim and you won’t need to enable bloom. For Tracer it’s more useful to have a small crosshair so you can accurately hit headshots as you don’t need to control spread. Gear is secondary to skill but it still makes an impact. A good mouse is more responsive, a good mousepad will help the movement, a Bungee keeps the cable out of the way, a monitor with a good response and refresh rate will make the experience more fluid. This affects a variety of factors. Tracking, Accuracy, Smoothing, Acceleration and more. Most modern mice will have a different feel in this regard to them but still perform at a very good level. The rate at which the mouse communicates with your PC. Higher is better in theory but the difference between 500 and 1000hz will be hardly noticeable and most modern mice will be around that number. It’s important that a mousepad is smooth, consistent, responsive for your mouse and, again, feels right for you. Buying a large mousepad is recommended – if you have the desk space it simply gives you more room so you won’t have to lift your mouse as much. Mousepads have different amounts of friction. Cloth mousepads usually have more friction than hard mousepads which means faster stopping of the mouse but slightly lower acceleration. There are many options like the Steelseries QcK+, Razer Goliathus or Zowie GS-R. Size doesn’t matter but the resolution should be 16:9 as that is the biggest aspect ratio that Overwatch supports. If, for example, you get a ultrawidescreen then the top and bottom of the image will be cut off by black bars – you don’t get a wider FoV. Refresh Rate is the most important thing to watch out for. 60hz is the standard, meaning you see 60 frames per second. Most professional players use 144hz, there are monitors with an even better rate now. A higher refresh rate means a smoother image and you’ll see movement a fraction of a second earlier. Reaction Time is how quickly the monitor can change the image. That means the difference between a 8ms and a 5ms reaction time monitor will be that one will show an image 3ms faster – a very minor factor but something to consider nonetheless. Something to keep the mouse cord out of the way. Buy any or simply get a piece of tape and stick it to your monitor/wall/speaker. Most keyboards will do the job just fine but it’s good to have a responsive one. Pros use mechanical keyboards but any will do. One thing to consider is the N-Key Rollover test, see if your keyboard manages to pass here. Optimal settings will vary from person to person and from PC to PC. These are just suggestions. Check out Pro Settings to see what professional players use. To start, more FPS is better. Input lag is directly linked to framerate if Reduce Buffering isn’t enabled. Having a higher Framerate than your monitor’s refresh rate will mean that the game runs smoother and the images will be display a tiny fraction of a second earlier. Almost everything is on Low or Off to reach the highest FPS possible. 103 FoV and 16:9 are standard and the best you can go for. Unlike other games you need the maximum awareness in Overwatch and those two settings are the only option to attain that. If you have a 60 hz monitor you won’t benefit much from 300 fps. You can limit it to ~150 to save your graphics card work. If you get huge spikes in FPS you should consider capping it. To keep your aim consistent you have to keep the factors involved consistent. Not only your mouse, mousepad, posture but also your FPS. I prefer 100% because it looks less blurry but many pros play with 75% to get a higher and smoother Framerate. Music isn’t required to play the game and it might distract from important Audio cues. Dolby Atmos gives you an improved sense of the direction sounds are coming from. Unlike standard 7.1 this is supported specifically by blizzards to pinpoint the actual direction so enabling this will be an advantage. Make sure to disable other digital surround sound programs as they will interfere with it. 7.1 in most headsets doesn’t really do anything different to dolby atmos. Since almost all headphones are stereo it’s all simulated. They don’t have 7+1 speakers, just two. So they get information from the game and from there it’ll try to ‘move’ the sound into the right location by using EQ, volume and panning it to the side. What Dolby Atmos does is the same thing except it’s from the game, not your headphone drivers. So you get a sound experience that’s very generalized, probably optimized for precision positional awareness. From that I assume stem all the complaints that the sounds aren’t as clear since it doesn’t take the headphone types into account like native 7.1 would. Others say that while more precise other sounds further away are very difficult to hear so you might spot footsteps earlier with it off. Now where it gets interesting is that most 7.1 headphones simulate exactly an eight speaker setup – 8 spots where sound comes from. Dolby Atmos in theory isn’t limited by that and could simulate many more or more accurate positions. In the end, try both, see what fits better. Sea of Solitude FIRST GAMEPLAY and Developer Interview!